Successful business decisions are heavily dependent on having immediate access to critical business intelligence. When you don’t have the information you need in a timely manner, major business decisions can be delayed, affecting your organization’s ability to react to change. 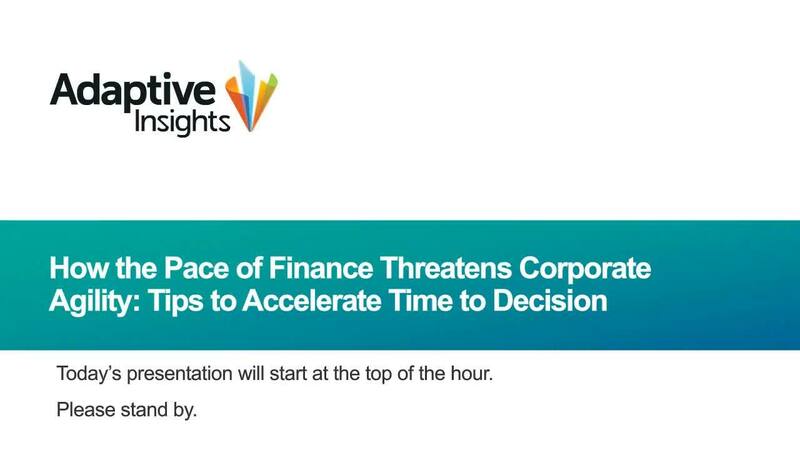 Join this informative webinar as we share how finance leaders, like you, are eliminating the time deficits that are created from manual data collection, formatting, and reporting. Speed up response times for ad-hoc analysis to enable agility in today’s complicated economic environment.